PageWide technology offers equivalent MFP performance, just faster and at a lower cost. But the technology also drives significant differences and advantages, especially in key use cases and with the TCO business model. And now, a unique new feature saves you and your users from the mono trap where nobody wants to be. Learn how to deliver more color and drive higher margins with this new HP PageWide capability. Staples Just Bought DEX. WTF? Join our motley crew of analysts and industry insiders as we debate the latest move by Staples and DEX and what it could mean for the BTA channel. This will be an interactive discussion, so bring those questions with you! Security is top of mind for most businesses today, and printers often leave organizations open to real-world security risks. 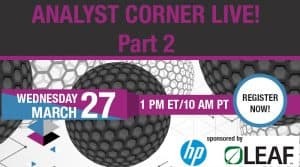 Join HP’s Lindsey Hearst, Print Security Advisor, Channel Lead for a timely discussion of how proper devices (hardware), tools (software), and services (MPS) can address those risks. 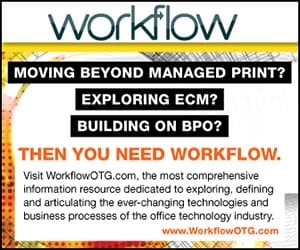 For some, launching and managing a managed print services program can be daunting. For others, keeping up with the evolution of their MPS programs to include new ways of billing, and/or adding new services like document management services, will be challenging. Learn that you’re not alone and how Clover Services will help. For the last two years, BPO Research’s exclusive Channel Trends study has taken an unprecedented deep dive into what dealers are experiencing, how the OEMs are faring and what the future holds for the channel. We surveyed dealers to find out what is most important to them and their customers, and in this webinar we’ll look at some of the top issues they identified — it will come as no surprise to find out that security is a primary issue to the channel. Scanning and software are also key issues right now. Looking for a simple way to provide your customers with the immediate benefits of the cloud? We invite you to discover an affordable, easy to use cloud-hosted solution for taking control of business content while reducing the cost of managing information. Designed to work with GlobalSearch C2, Square 9’s cloud-hosted ECM System, the new DirectConnect document import tool seamlessly scans documents from virtually any scanner or multifunction device and sends them directly to the cloud. DirectConnect eliminates the need for added infrastructure and being deployed in minutes, your customers can realize the immediate benefits it brings to their equipment. Explore the benefits of content management in the cloud as you discover a proven document capture solution that is easy to deploy, easy to use, and easy to sell. Join BPO Media and Clover Services Group for a discussion on the as-a-service trend and how your company can leverage it for growth. – How does it affect the dealer? – What types of services does Clover Services Group offer? 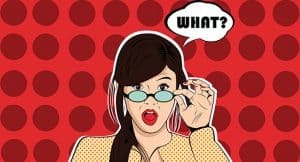 – How can dealers own the as-a-service discussion and use XaaS to grow? Luke Goldberg from Clover Services Group will share how these services can transform your business. Live Q&A will follow the presentation. 2017 Analyst Corner Live! Part 2: What Product Mix Yields Maximum Profit for Dealers? 2016 Analyst Corner Live! Part 1: HP + Samsung + A3: Winners and Losers in the Industry’s Biggest Deal — Ever. In an increasingly crowded marketplace, it’s more challenging than ever to win and retain customers. If you’re like most businesses in the imaging industry today, as market share and margins continue to shrink, so have your internal resources. There’s less money in the budget to pay for essentials like new technology and hardware, let alone investing in hiring and training top sales people, or maintaining an in-house marketing department to build and manage your website, social media and lead generation. This workshop provides a fast-paced introduction to the fundamentals of neuromarketing, an effective new discipline that improves sales and marketing results by applying discoveries from neuroscience. Business Inkjet is one topic that continues to foster heated discussion within the office printing market. This session looks closely at results from a recent BPO Research study to provide insight as to market penetration, the current technology landscape, end user and channel acceptance, and why office inkjet could be the next real growth opportunity in the office imaging market. Join Digitek and BPO Media for the first in a series of thought leadership webinars.